Unless specified as a Team Travel Event parents/guardians are responsible for transporting their swimmers to and from meets and events. If parents/guardians are unable to attend it is up to the family to make arrangements with another swimmer’s family to transport their child. Financial contributions/reimbursement should be agreed upon prior to travel. Club travel policies must be signed and agreed to by all athletes, parents, coaches and other adults traveling with the club. Purpose: Athletes are most vulnerable to misconduct during travel, particularly overnight stays. This includes a high risk of athlete-to-athlete misconduct. During travel, athletes are often away from their families and support networks, and the setting – new changing areas, locker rooms, workout facilities, automobiles and hotel rooms – is less structured and less familiar. Team Travel is defined as overnight travel to a swim meet or other team activity that is planned and supervised by the club. Team managers and chaperones must be members of USA Swimming and have successfully passed a USA Swimming-administered criminal background check. Regardless of gender, a coach shall not share a hotel room or other sleeping arrangement with an athlete (unless the coach is the parent, guardian, sibling, or spouse of that particular athlete). When only one athlete and one coach travel to a competition, the athlete must have his/her parents’ (or legal guardian’s) written permission in advance to travel alone with the coach. a. During team travel, when doing room checks, attending team meetings and/or other activities, two-deep leadership and open and observable environments should be maintained. If only one chaperone is attending he/she will never be alone with an athlete (unless the chaperone is the parent, guardian, sibling, or spouse of that particular athlete). b. Athletes should not ride in a coach’s vehicle without another adult present who is the same gender as the athlete, unless prior parental permission is obtained. c. During overnight team travel, if athletes are paired with other athletes they shall be of the same gender and should be a similar age. Where athletes are age 13 & over, chaperones and/or team managers would ideally stay in nearby rooms. When athletes are age 12 & under, chaperones and/or team managers may stay with athletes. Where chaperones/team managers are staying in a room with athletes, they should be the same gender as the athlete and written consent should be given by athlete’s parents (or legal guardian). When only one athlete and one coach travel to a competition, at the competition the coach and athlete should attempt to establish a “buddy” club to associate with during the competition and when away from the venue. To ensure the propriety of the athletes and to protect the staff, there will be no male athletes in female athlete’s rooms and no female athletes in male athlete’s rooms (unless the other athlete is a sibling or spouse of that particular athlete). A copy of the Club Code of Conduct must be signed by the athlete and his/her parent or legal guardian. Team officials should obtain a signed Liability Release and/or Indemnification Form for each athlete. Team officials should carry a signed Medical Consent or Authorization to Treat Form for each athlete. Curfews shall be established by the team staff each day of the trip. Team members and staff traveling with the team will attend all team functions including meetings, practices, meals, meet sessions, etc. unless otherwise excused or instructed by the head coach or his/her designee. The directions & decisions of coaches/chaperones are final. Swimmers are expected to remain with the team at all times during the trip. Swimmers are not to leave the competition venue, the hotel, a restaurant, or any other place at which the team has gathered without the permission/knowledge of the coach or chaperone. When visiting public places such as shopping malls, movie theatres, etc. swimmers will stay in groups of no less than three persons. 12 & Under athletes will be accompanied by a chaperone. 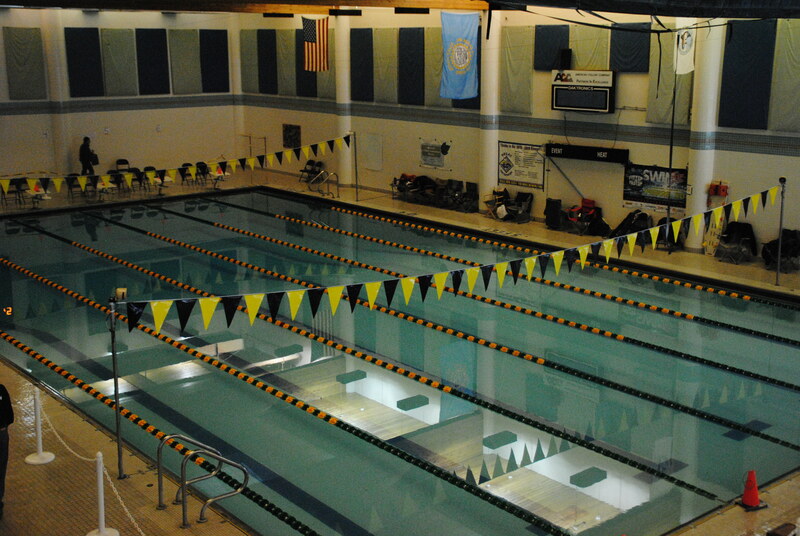 The Head Coach or his/her designee shall make a written report of travel policy or code of conduct violations to Black Hills Gold Swimming and the parent or legal guardian of any affected minor athlete. Specific information regarding this trip is outlined, agreed upon and attached to this form. Needs and wellbeing of the team come first. Communicate travel reimbursement information and policies. All team members, team staff, and parents of minors are apprised in writing of this Code of Conduct and the attached USA Swimming Code of Conduct. A signature on this document constitutes unconditional agreement to comply with the stipulations of both documents. Team members will display proper respect and sportsmanship toward coaches, officials, administrators, teammates, fellow competitors and the public at all times. Team members and staff will refrain from any illegal or inappropriate behavior that would detract from a positive image of the team or be detrimental to its performance objectives. The possession or use of alcohol or tobacco products by any athlete is prohibited. The possession, use, or sale/distribution of any controlled or illegal substance or any form of weapon is strictly forbidden. No “deck changes” are permitted. Athletes are expected to use available change facilities. Team members are reminded that when competing in meets, traveling on trips, and attending other meet-related functions, they are representing both themselves and the Black Hills Gold team. Athlete behavior must positively reflect the high standards of the club. Swimmers are to refrain from inappropriate physical contact at team activities and events. Swimmers are to refrain from use of inappropriate language. I have read the Travel Policy and understand the policy, guidelines, who the chaperones are and the requirements of the athlete, parents and chaperones. I ____________________ (parent/guardian) understand that my child will be traveling to __________________ for the purpose of _____________________________beginning ______________and returning to my care ______________________. As my child’s guardian I consent to this trip. I certify that, to the best of my knowledge and belief, _______________________________ (name of swimmer) is in good physical condition and has no condition which would impair participation in our travel. In case of minor emergency (cuts, scratches, headaches, etc), I give permission to the coaches or chaperones to treat as they deem necessary, In case of more serious injury or emergency, I hereby give the Black Hill Gold Swim Team and its coaching staff and chaperones permission to act on my behalf in seeking medical treatment from any licensed physician, hospital or clinic for my child in the even that such treatment is deemed necessary. I give permission to those administrating medical treatment to do so using methods deemed necessary. I absolve Black Hills Gold Swim team and its coaching staff, chaperones, and volunteers from all liability while acting on my behalf in this regard. Permission is hereby granted for you a the discretion of the coaches or chaperones of Black Hills Gold Swimming to perform whatever care is necessary for the welfare of my child until such time as you are able to reach me personally. from USA Swimming events for the dates from ____________ , 20____ through ____________ ,20____. event staff, before I sign this document and before travel begins. notwithstanding, shall continue in full force and effect. emergency medical treatment in the event such care is required. travel to and from USA Swimming events.